100 Universal City Plaza, Universal City, CA. The Gibson Amphitheatre (originally known as the Universal Amphitheatre) closed permanently in September of 2013, and was torn down the next year, to make room for the expansion of Universal Studios Hollywood. The former theatre site will be converted to part of the theme park's new Wizarding World of Harry Potter. The new land's major ride, Harry Potter & the Forbidden Journey, will be built where the Amphitheatre once stood. I will leave this page up for a while, for those who might want to read about the 40-year history of the Amphitheatre, but bear in mind that the article below was written when the Amphitheatre was still open for business. The Gibson Amphitheatre is an enclosed concert venue with 6,300 seats, where you can see some of the biggest names in show biz live in concert - from rock bands to C&W, folk and jazz. It's located right next to Universal Studios Hollywood and the popular Universal CityWalk. It was originally known as the Universal Amphitheatre, but a few years back it changed its name to match that of the famous guitar-maker. In the last few years, you could have seen concerts by the likes of Bette Midler, Ringo Starr, The Cranberries, Linda Ronstadt, Johnny Cash, Steve Winwood, Oingo Boingo, Vince Gill, Stevie Wonder, Tanya Tucker, James Taylor, Bernadette Peters, Elvis Costello, John Tesh, Anita Baker, Jackson Browne, Ray Charles, The Backstreet Boys, Fleetwood Mac, Mötley Crüe, Amy Grant, Leann Rimes, Tears For Fears, Crosby Stills & Nash, Styx, Yes, Mary Chapin Carpenter, Wynonna, Stevie Nicks / Boz Skaggs, Yanni, Erasure, Peter Paul & Mary, Tom Jones, Tony Bennett, Julio Iglesias, Shirley Bassey, Spyro Gyra, Willie Nelson, Enrique Iglesias, Englebert Humperdinck, Alice Cooper, Reba McEntire, Chicago / Hall & Oates, The Manhattan Transfer, Ricky Van Shelton, The B-52's / The Pretenders, Melissa Etheridge, Traffic, The Chieftains / Sinead O'Connor, Air Supply, Garrison Keillor, The Monkees, Duran Duran, and Barry Manilow. Elton John had a memorable concert here in 1979, backed only by his percussionist, Ray Cooper. 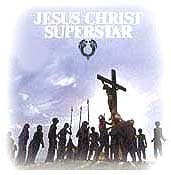 Plus the Amphitheatre played host to the Teen Choice Awards, the Academy of Country Music Awards show, and major Broadway rock-operas such as "Jesus Christ Superstar" and "The Who's Tommy." Tickets are available through phone and mail order from the Amphitheatre box office, at (213) 252-TIXS, and from TicketMaster at (213) 480-3232. Amphitheater seating is arranged in a huge, curving semi-circle, so try to avoid sitting in the outer aisle seats. Parking in the adjacent CityWalk parking structures. Valet parking available. Getting there: The amphitheatre is located right next door to the main entrance of Universal Studios Hollywood. From Hollywood, take the Hollywood (101) Freeway through the pass, to the Lankershim Boulevard exit; turn right on Lankershim, then turn right again on Universal Terrace Parkway and follow it up to the parking lot. Follow CityWalk to the main gate of Universal Studios.